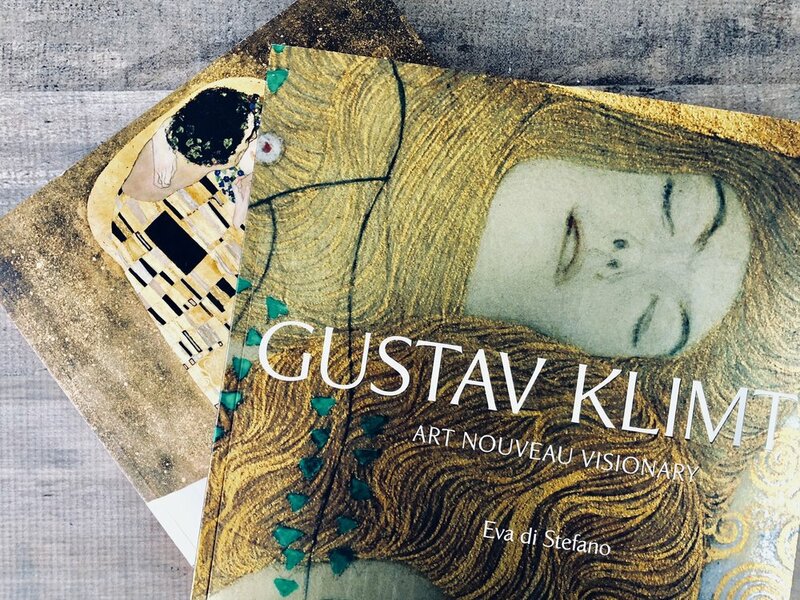 I'm excited to bring you along on another creative journey into the artwork of Gustav Klimt! I have long been a lover of the Art Nouveau movement and so it is such a joy to finally pay homage to one of this period's masters! 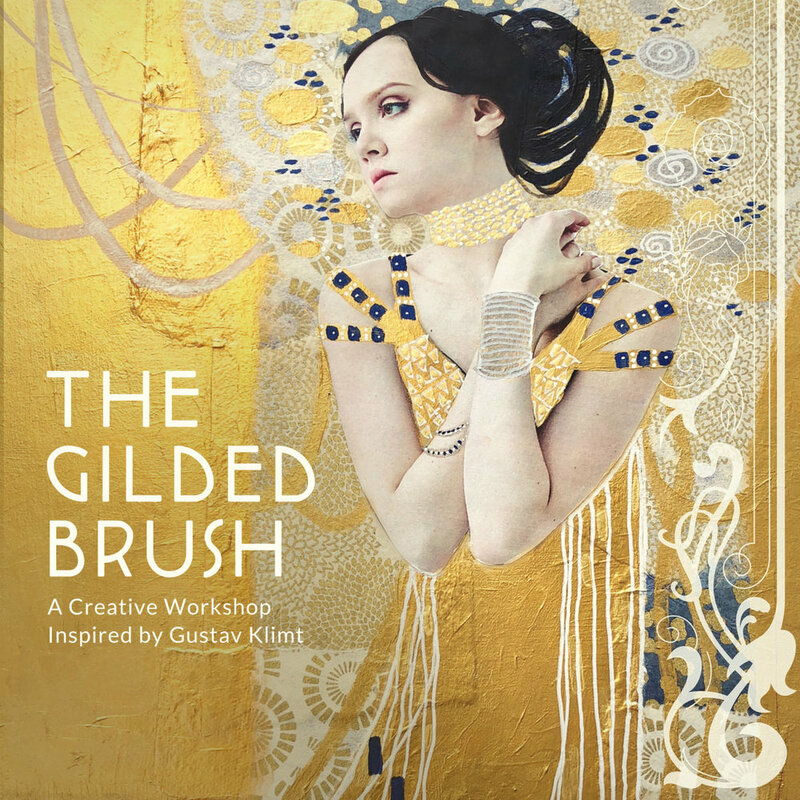 The decadent, layered and symbolic work of Klimt has fascinated and enchanted art lovers for decades and now we get to create our own Klimt inspired works too! I will guide you through a brief history of the artist, the period and and influences and then on to wonderful mixed media projects for all levels! Like all my classes, I start with a bit of art history. It's important for us to understand a little more about the artist, the time period and his influences as we begin our journey with Klimt. We will be looking at several of his works and discussing them together. We will look at some of the beautiful patterns Klimt used in his works and then try our hand at drawing them. Symbolic pattern was very important in Klimt's work and I think you will love exploring shape, scale and rythm in this warmup! Klimt's sketches went from highly realistic to very mininalist. We will look at these and then create our own, drawing from vintage photography to get our creative energy flowing! Through a process of collage and mixed media we will create our very own Lady in Gold inspired by Klimt's amazing painting - "Portrait of Adele Bloch-Bauer I". You will love layering pattern and decadent gold paint to create a rich, complex and enchanting - "Lady in Gold" of your very own! In this project, you will be guided through my process of designing, drawing and then painting a piece inspired by Klimt's many depictions of women. We will also incorporate the wonderous beauty of his flower filled landscapes! This project will show you even more mixed media techniques to incorporate into your own works! If you would prefer, you can use collage for your figure in this piece too! All levels are welcome! This free lesson will also be included in the class and will guide you through how to create another Klimt inspired collage! Here, I create a cover for my Art Journal! Such a rewarding and delightful process! Assorted Acrylic paints/craft paints - I used a set of Arteza paints for the second project.